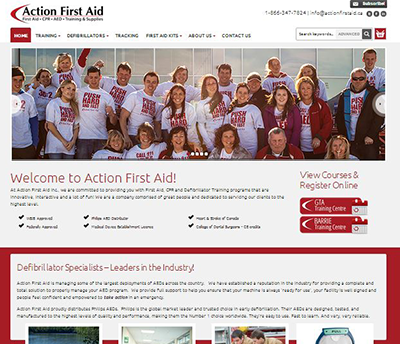 Action First Aid is a growing CPR & AED (defibrillator) training facility and supplier. Located in Barrie, they have recently expanded to the GTA and have opening a new training facility in Woodbridge. Lawson Landscapes was looking for a new web design that would optimally display their gorgeous landscaping projects. We used their photos to our advantage and created a design that featured full screen images on the homepage and a gallery enabled with tagging and dynamic display. The site is also responsive and can hold large image files without slowing down loading times. 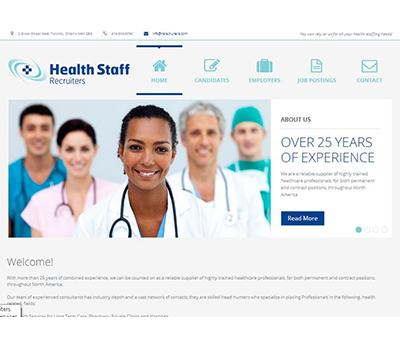 Health Staff Recruiters had a unique need in that they required a full website constructed in less than a week. Sound Software delivered by quickly pulling together the hosting, purchasing the domains, and stock imagery and finally developing the responsive website in-line with the client wishes. Stephanie Delaurier wanted to bring a lot of energy to her website, so we embedded big feature video right on the homepage. 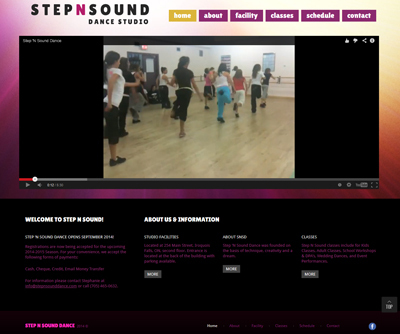 Our thought - what better way to show exactly what Step N Sound Dance Studio is all about. 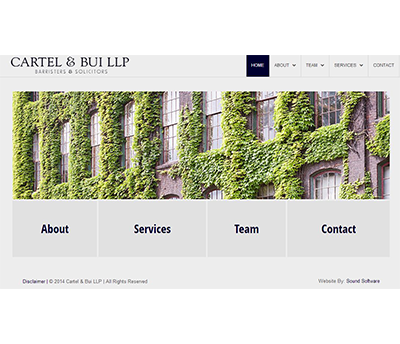 Cartel & Bui LLP is a new law firm located in Liberty Village in Toronto, ON. They required a website to promote the new partnership, detail service offerings and also put forth a brand identity. It was exciting to bring on a client with such an extensive portfolio of high design builds. 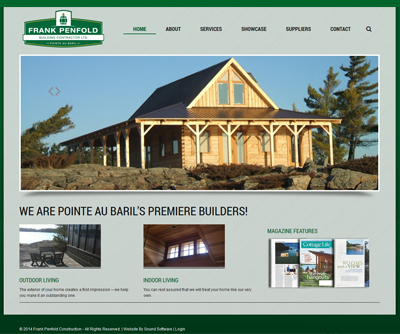 We wanted to bring them to the next level with their website, as it is our new standard, it is build with a responsive design, please browse the several articles where Frank Penfold Building Contractor LTD has been featured in magazines for their quality work. 30 Years in business is quite a big deal as far as we're concerned. 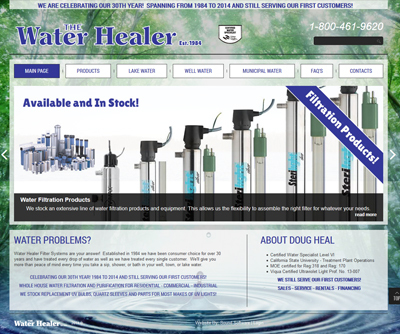 Doug Heal, the owner of the very aptly named The Water Healer wanted this to be a feature item of his new website, as well as featuring his many product offerings. Much more to come from this website in the very near future. 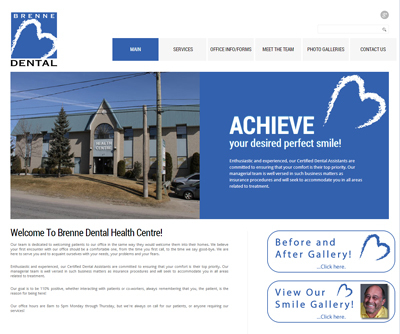 Brenne Smiles wanted to update their look, and show a more recognizable image of exactly what they do.